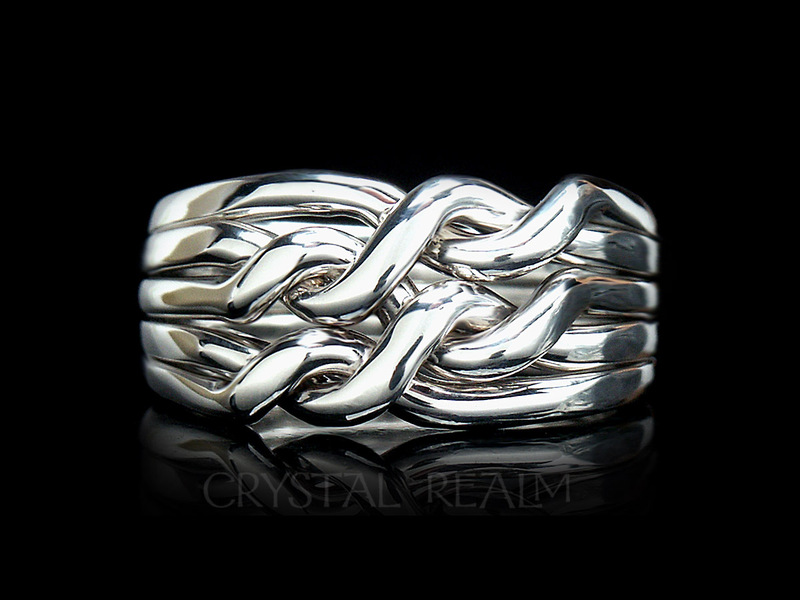 A puzzle ring makes a fun and alluring wedding ring or fashion ring. 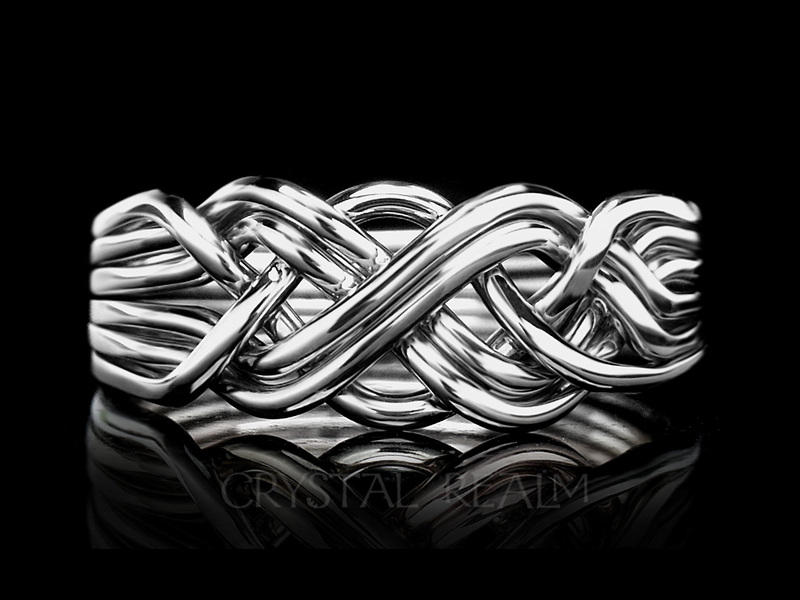 What’s a puzzle ring? 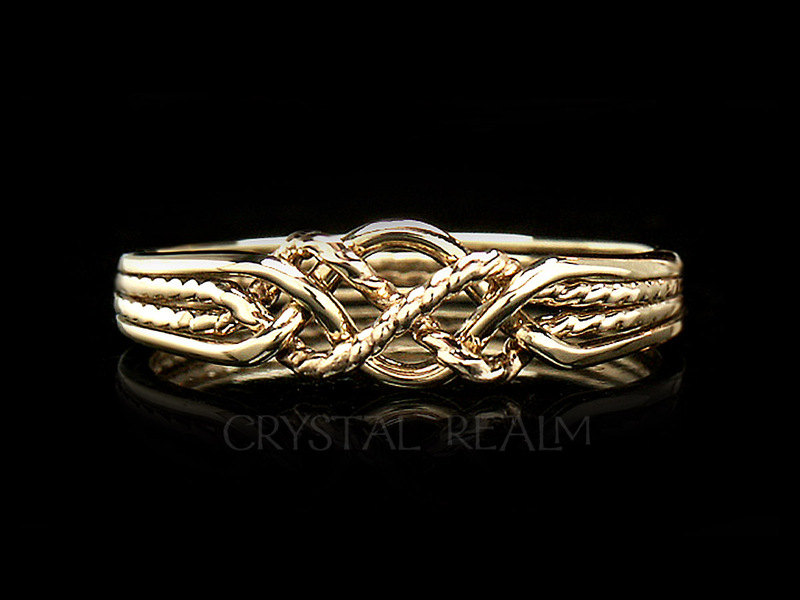 We make our puzzle rings with three to 12 or more bands (upon request). 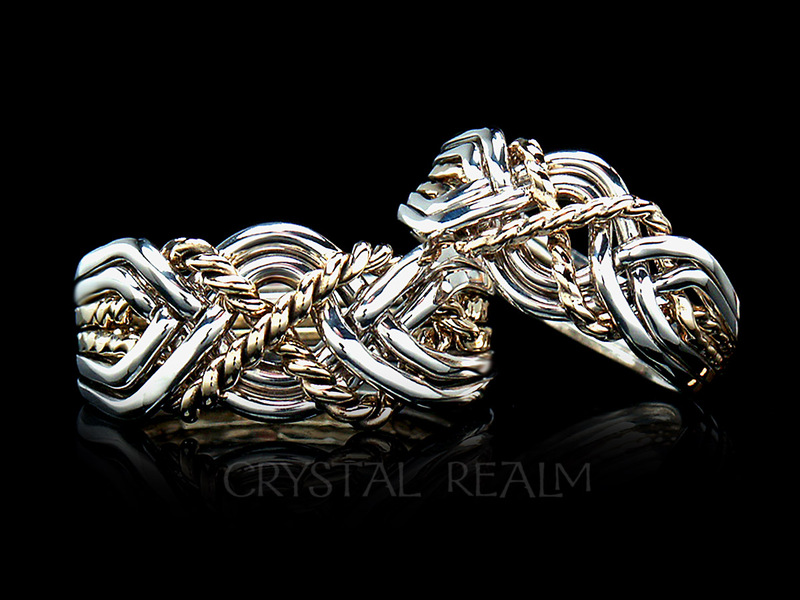 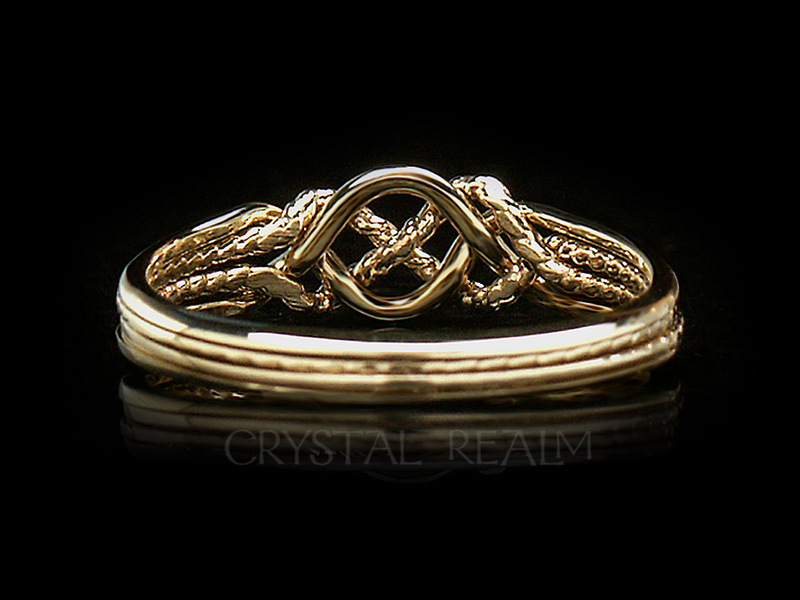 They are interwoven in a Celtic-inspired knotwork pattern. 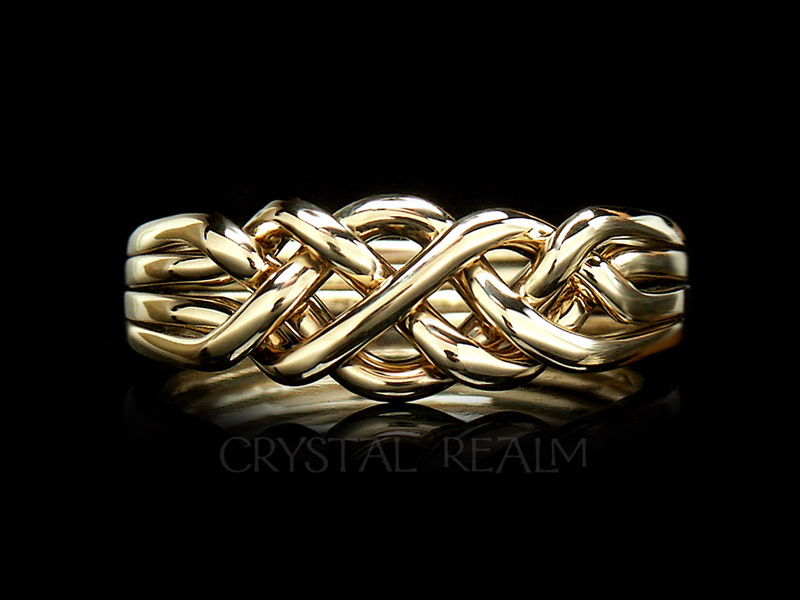 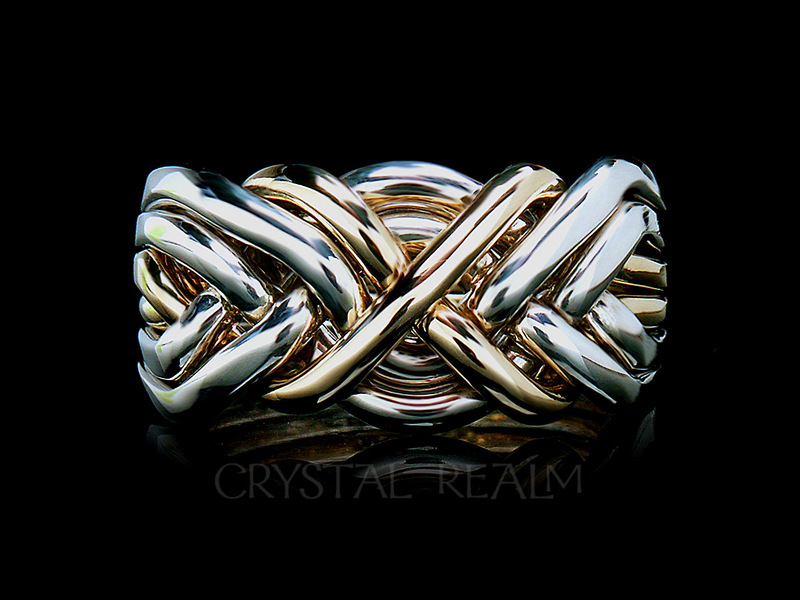 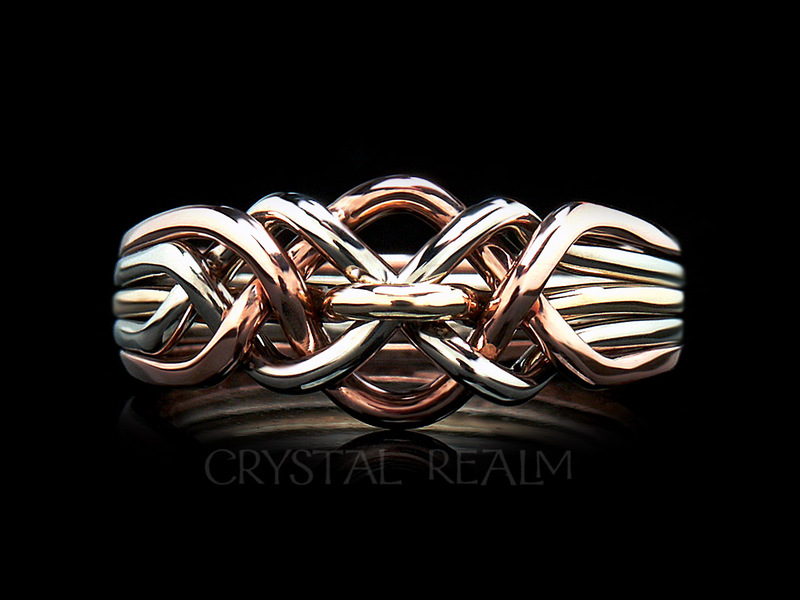 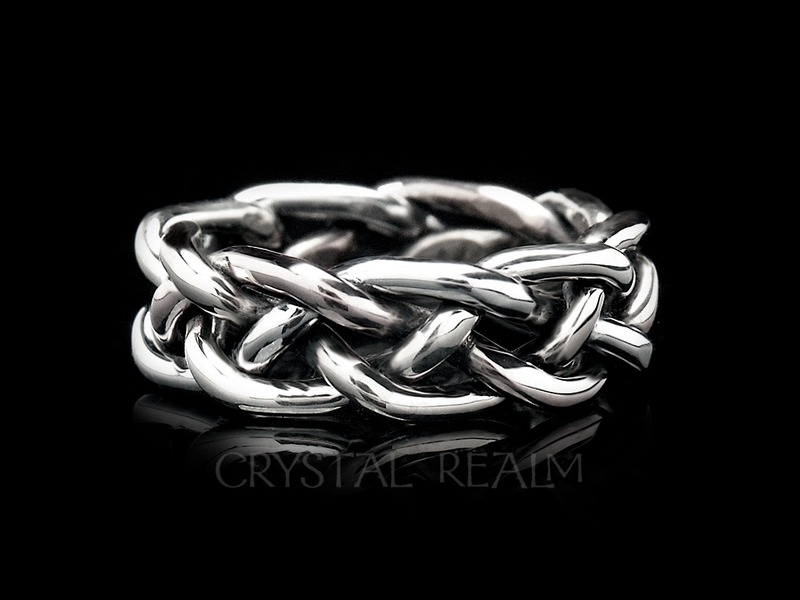 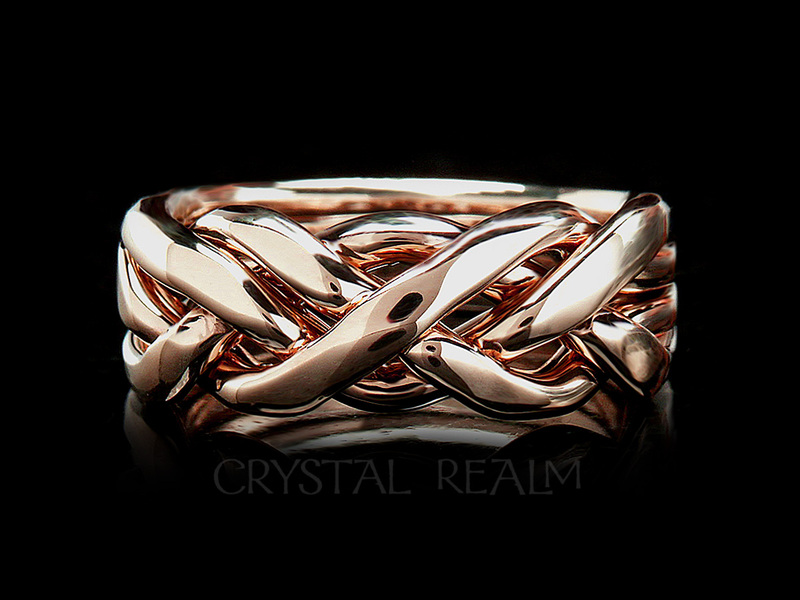 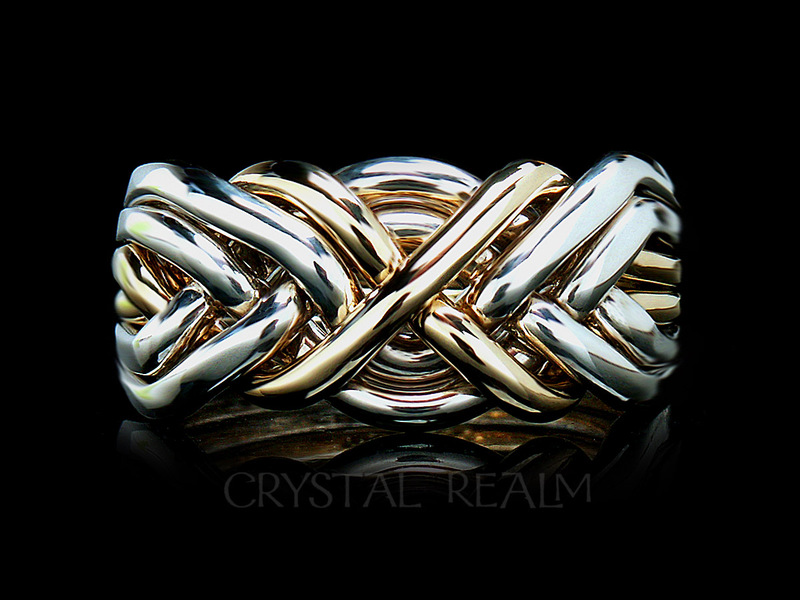 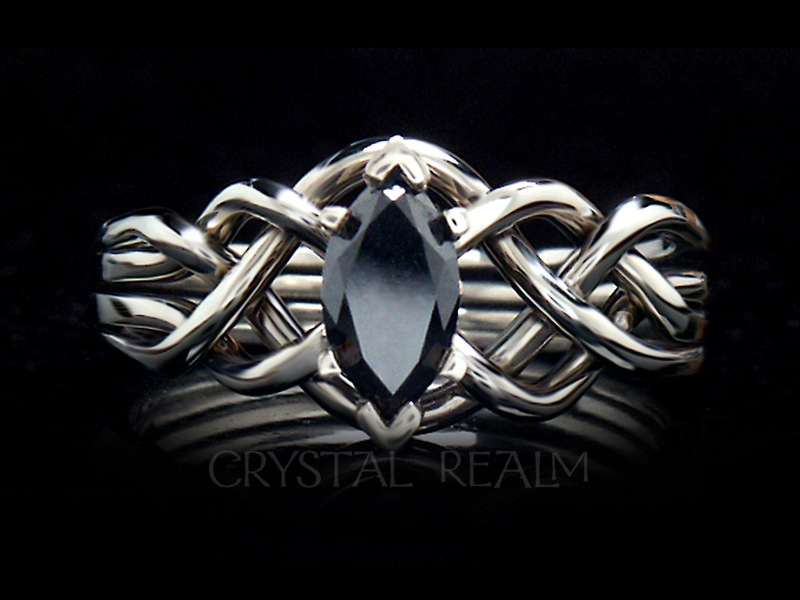 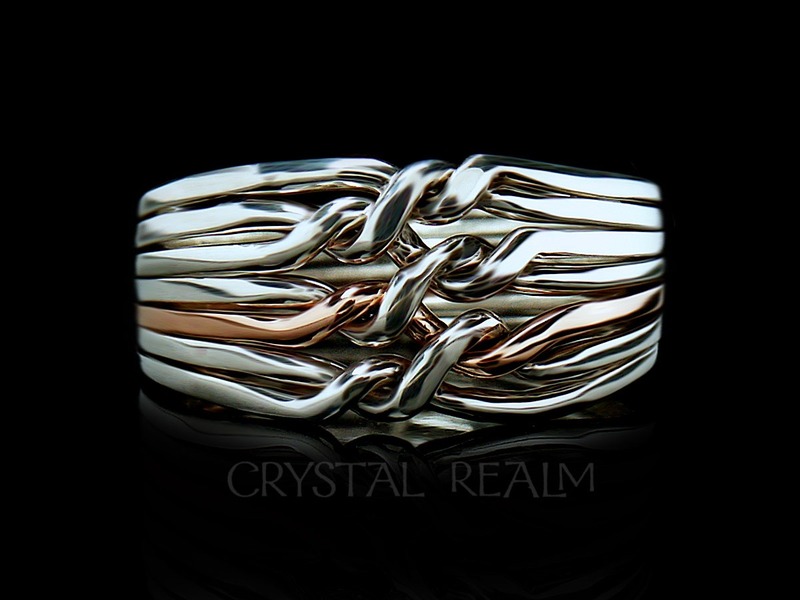 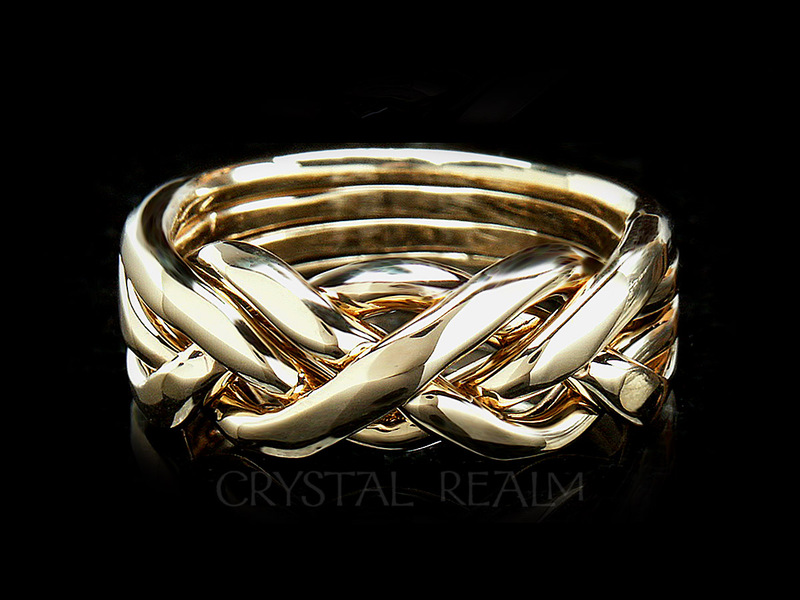 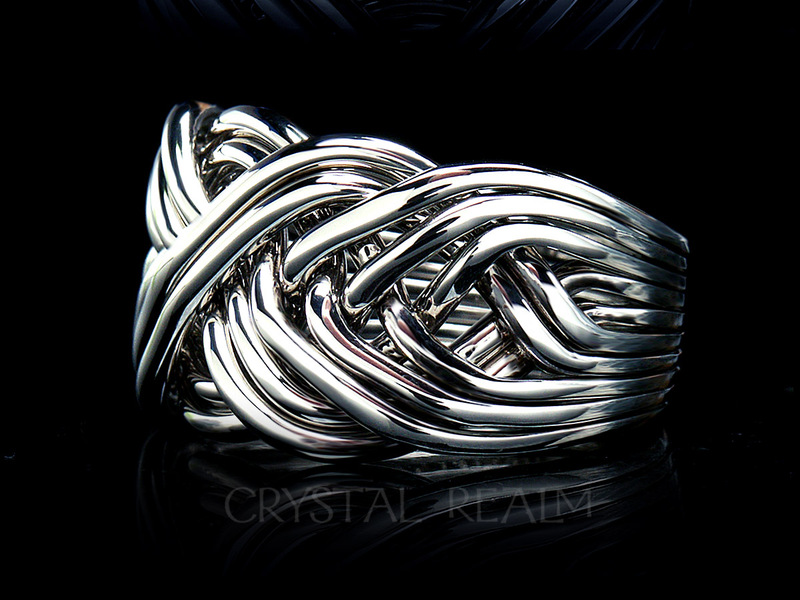 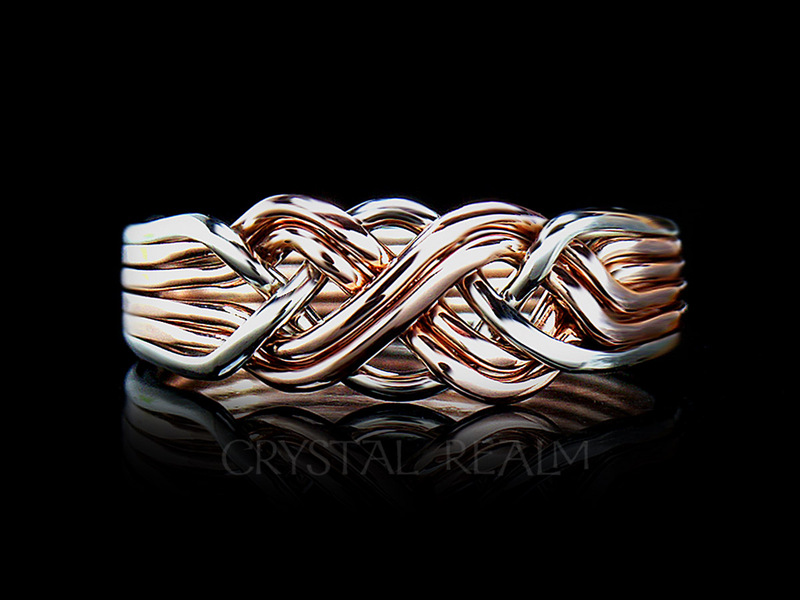 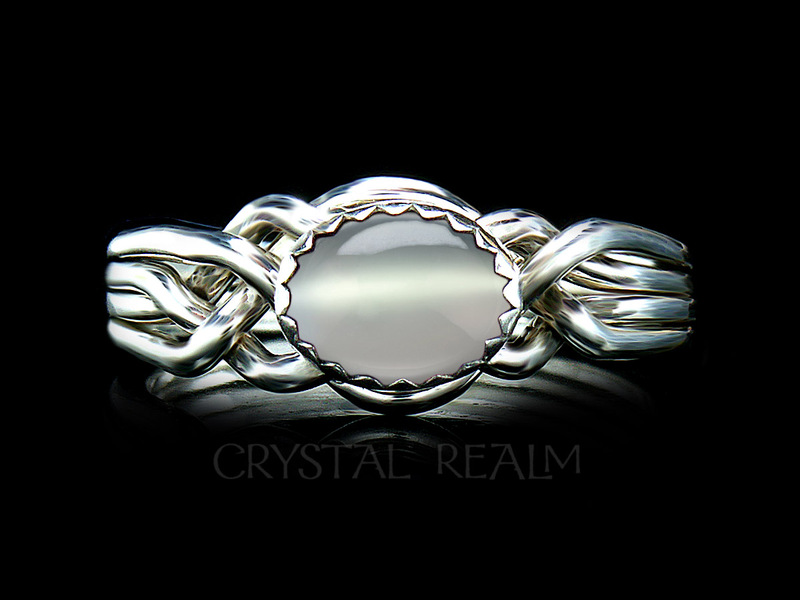 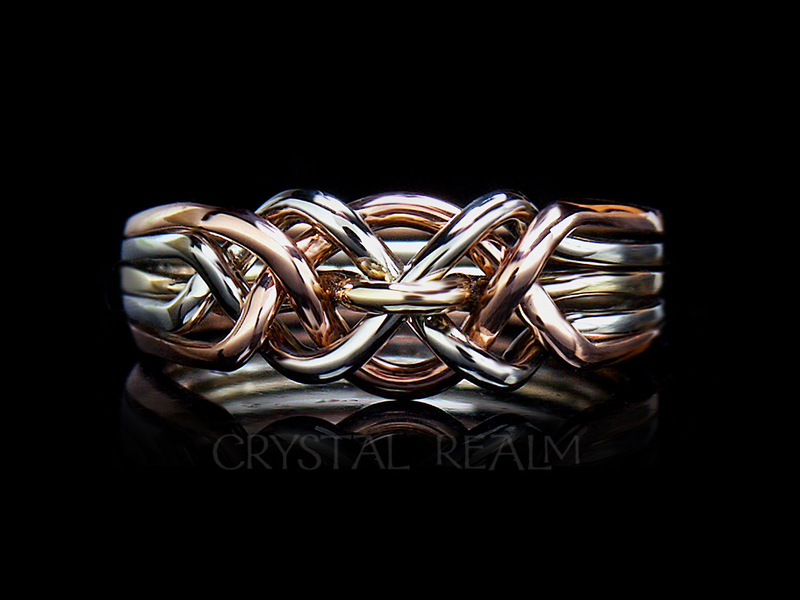 We hand weave each of our puzzle rings. 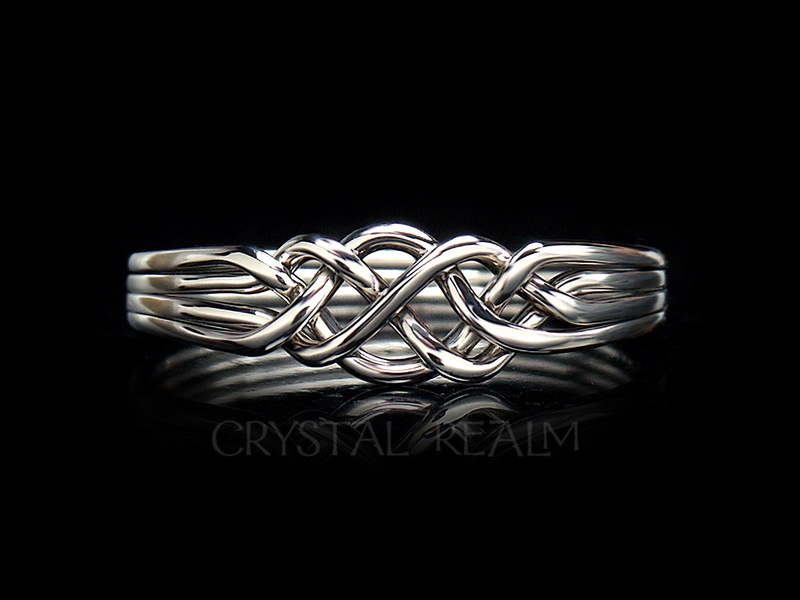 This means we form every curve and loop of the puzzle ring by hand. 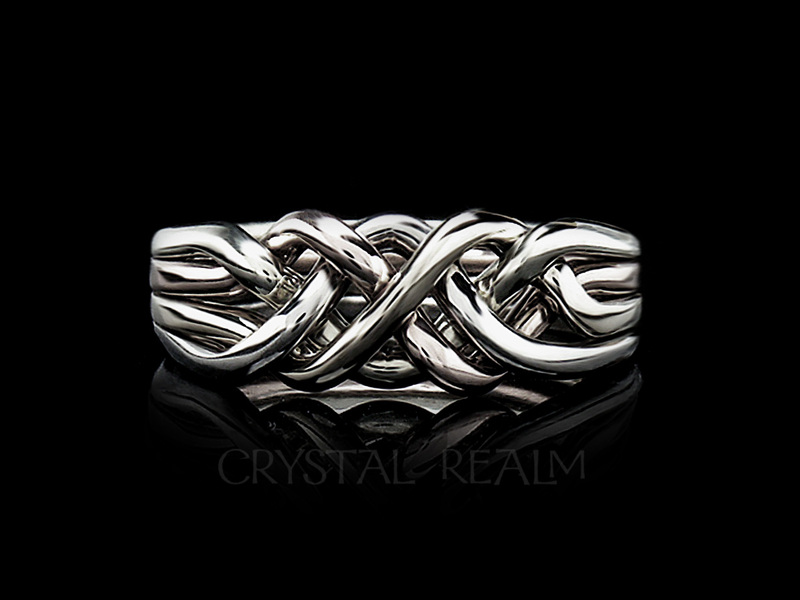 This makes each puzzle ring a unique, one-off original. 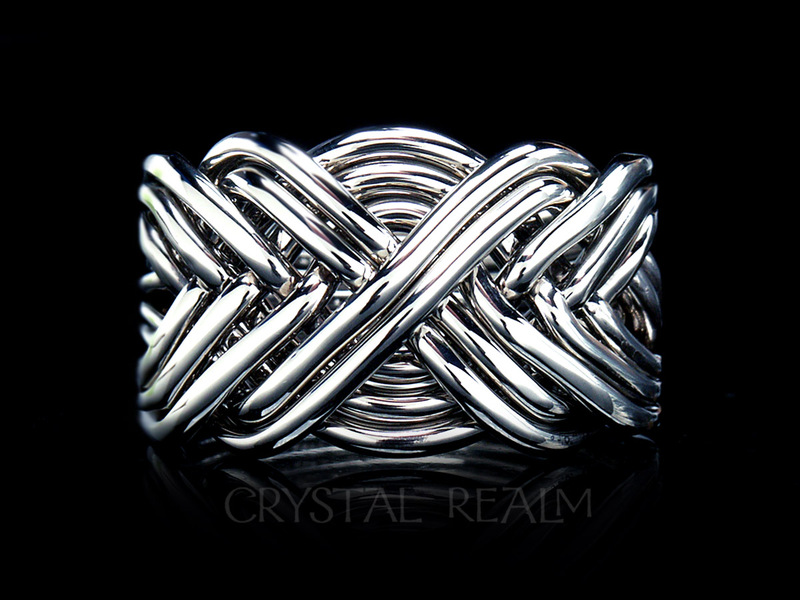 Enjoy the challenge and fun of a hand-woven puzzle ring. 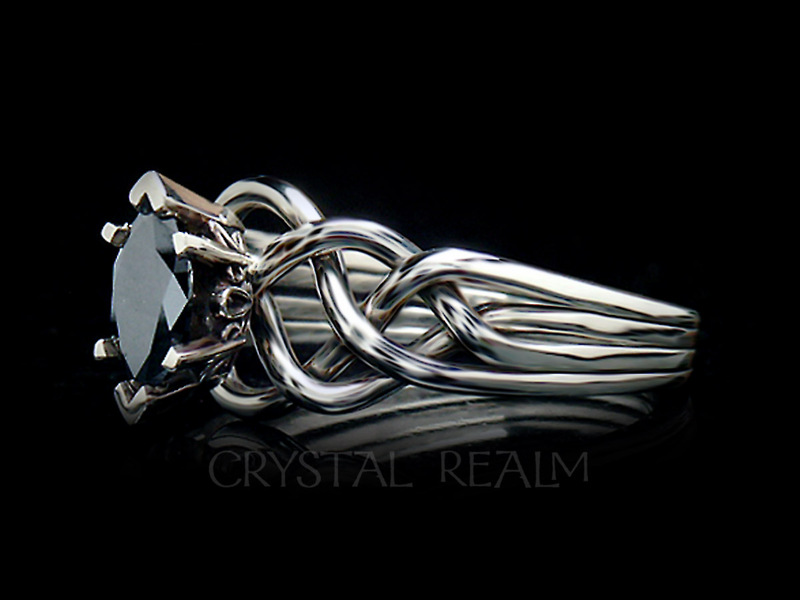 Choose a puzzle ring for your wedding, anniversary, birthstone, or anytime ring. 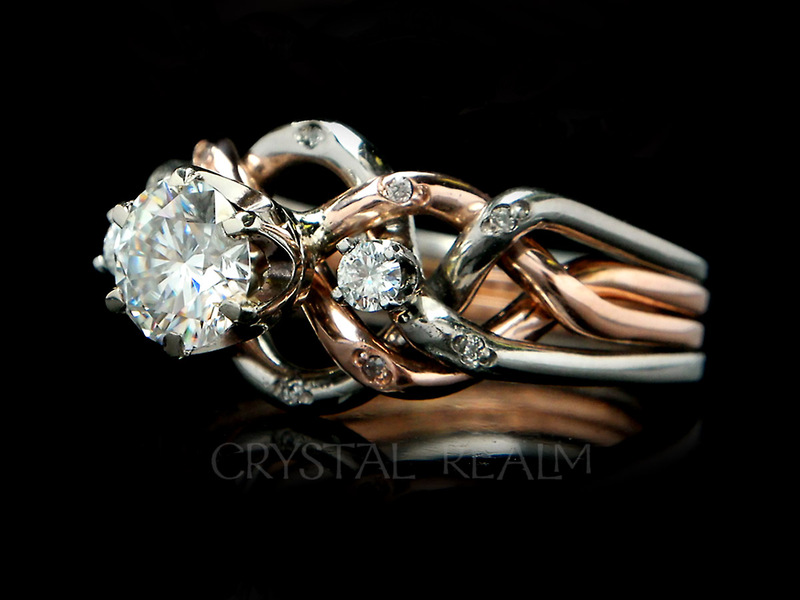 We will create your puzzle ring to suit your taste. 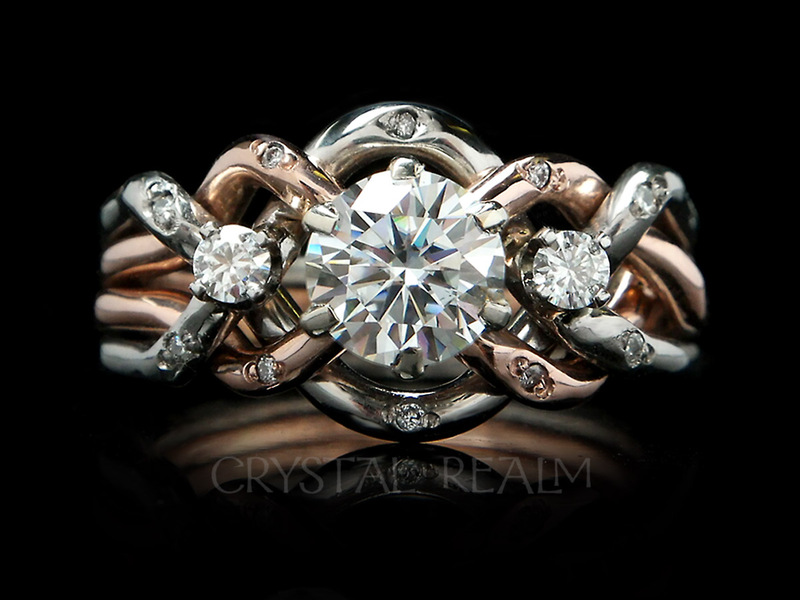 Choose from 14K gold color or combination: 14K white, yellow or rose gold; four colors of 14k gold (white, yellow, rose, and green); palladium or platinum. 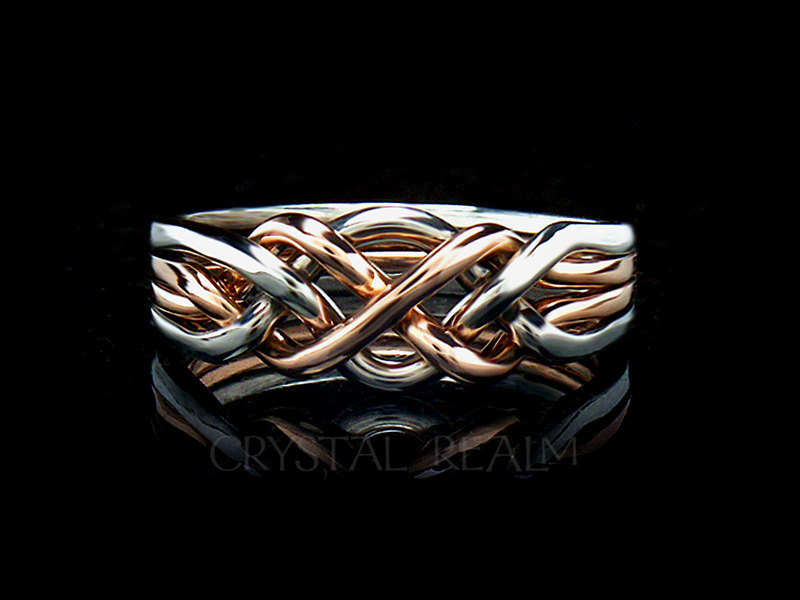 Or any combination of metals you prefer. 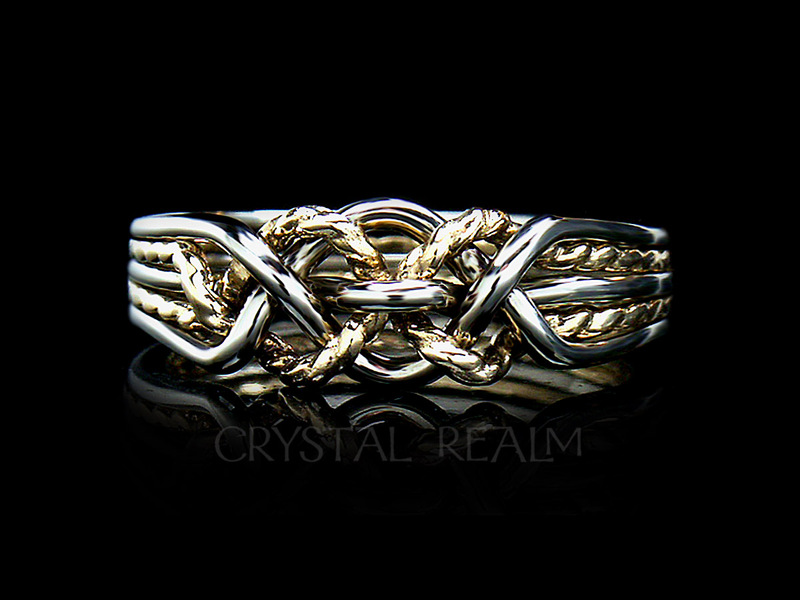 We deliver each puzzle ring assembled. 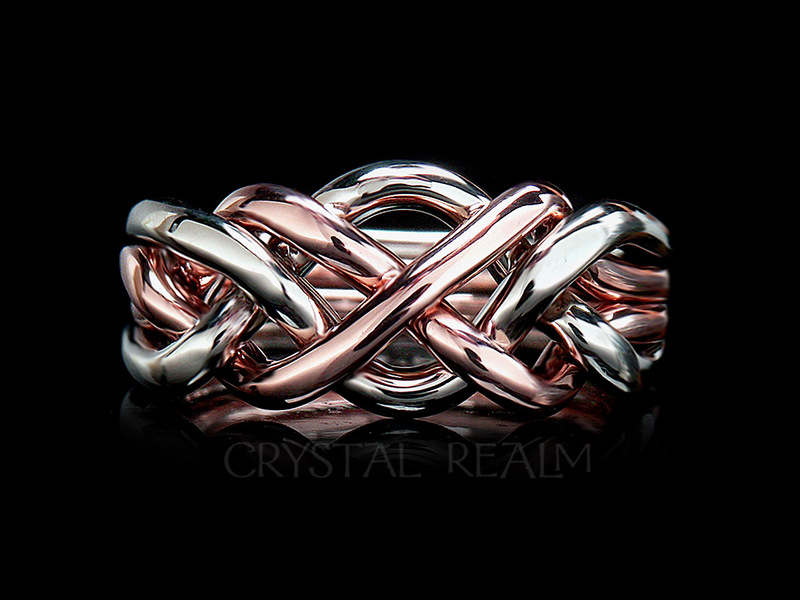 When you are ready, take your puzzle ring apart. 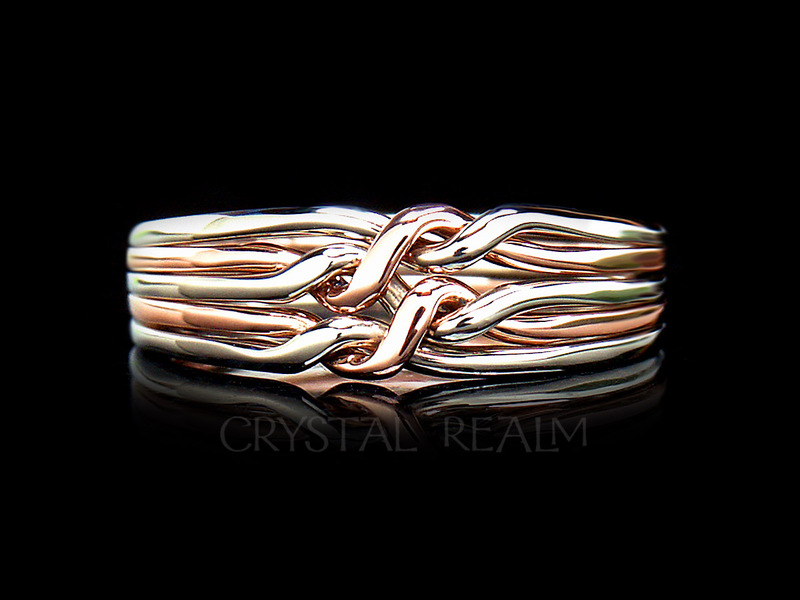 Use our video instructions to learn to assemble your puzzle ring. 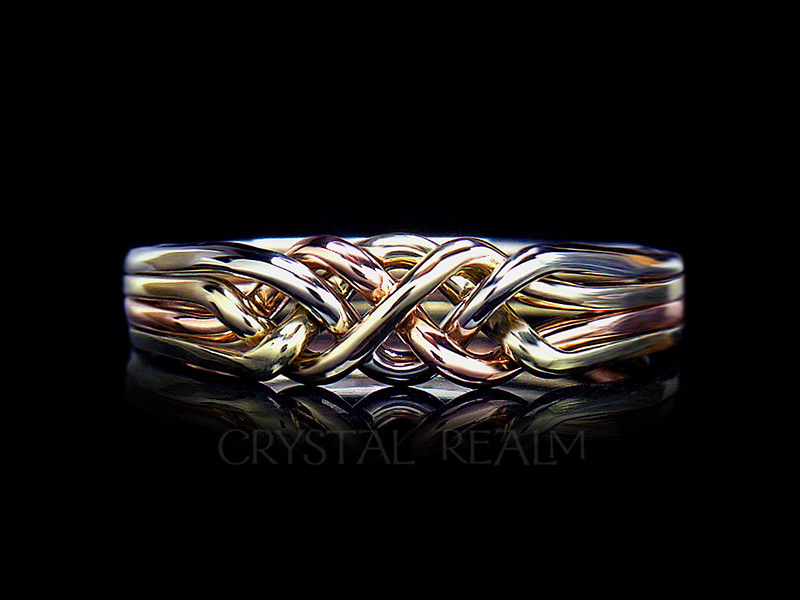 Want a pair of puzzle rings? 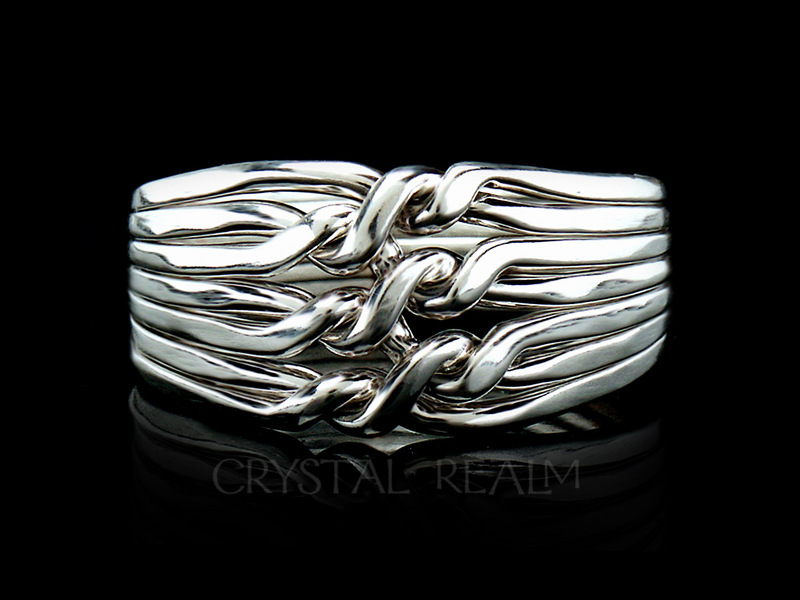 Are your hands bigger or smaller than your partners? 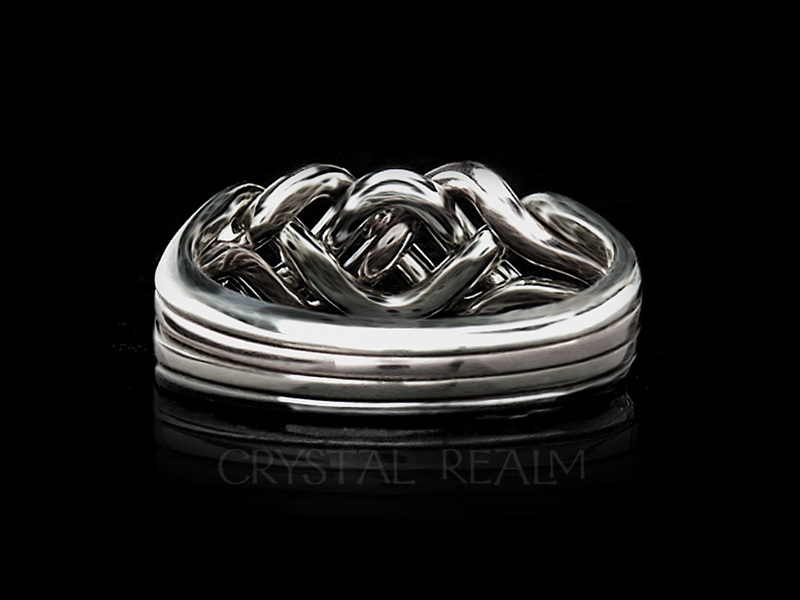 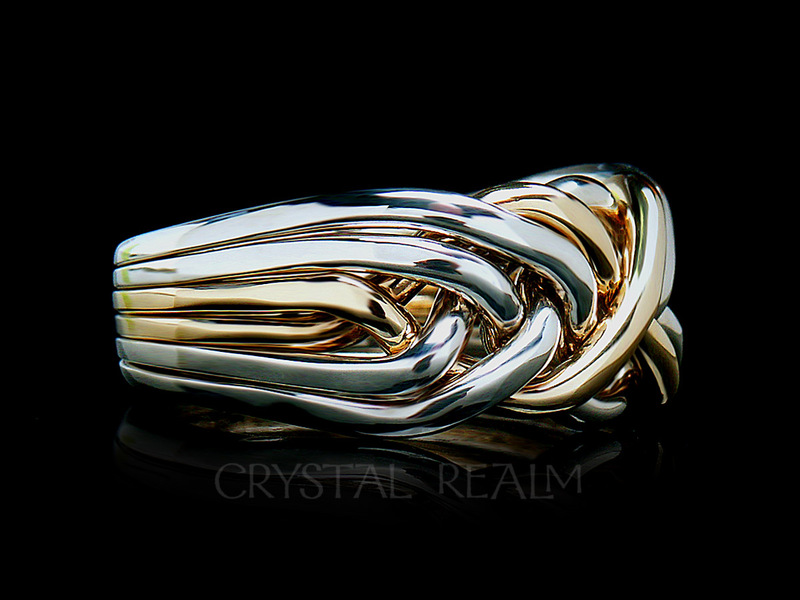 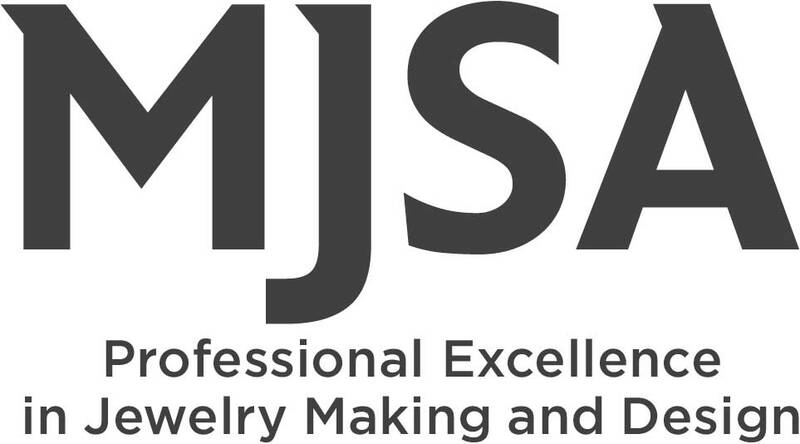 We will make your matching rings in two different weights: lighter for the small ring and heavier for the larger ring. 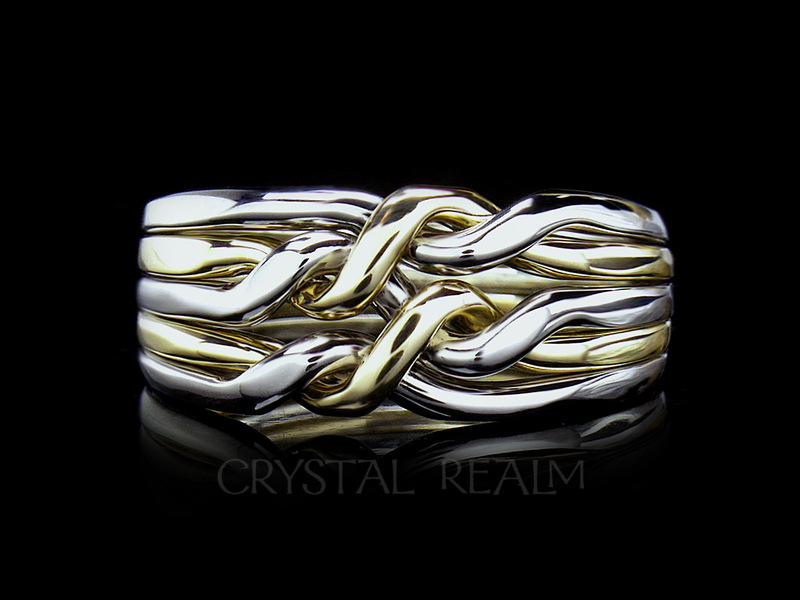 If you don’t see exactly the puzzle ring you want in the precious metal and weight you are after, please contact us. 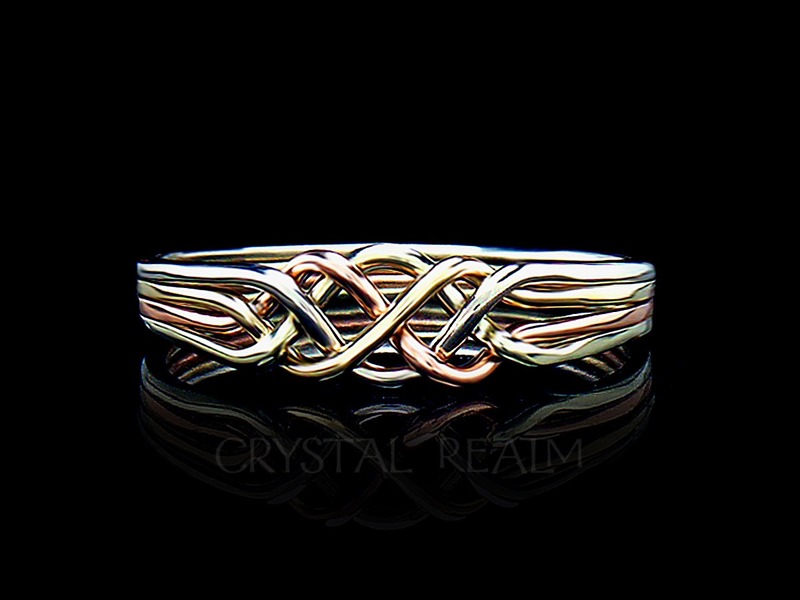 We will make you the ring(s) you want! 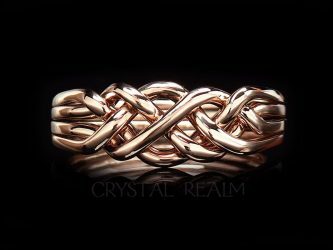 Your puzzle ring(s) will be artifacts of great beauty and craftsmanship, heirlooms of quality that you will pass to your children.